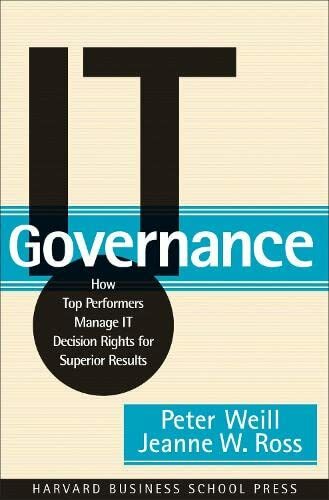 In this book, IT experts Peter D. Weill and Jeanne W. Ross argue that the real reason IT fails to deliver value is that companies have no formal system in place for guiding and monitoring IT decisions. Their research shows that firms with explicit IT governance systems have twice the profit of firms with poor governance, given the same strategic objectives. Just as corporate governance systems aim to ensure quality decisions about corporate assets, the authors show, companies need IT governance systems to ensure that IT investments are made wisely and effectively. Peter Weill is the Director of the Center for Information Systems Research (CISR) and a Senior Research Scientist at MIT’s Sloan School of Management. Jeanne W. Ross is Principal Research Scientist at CISR. Weill, Peter/ Ross, Jeanne W.